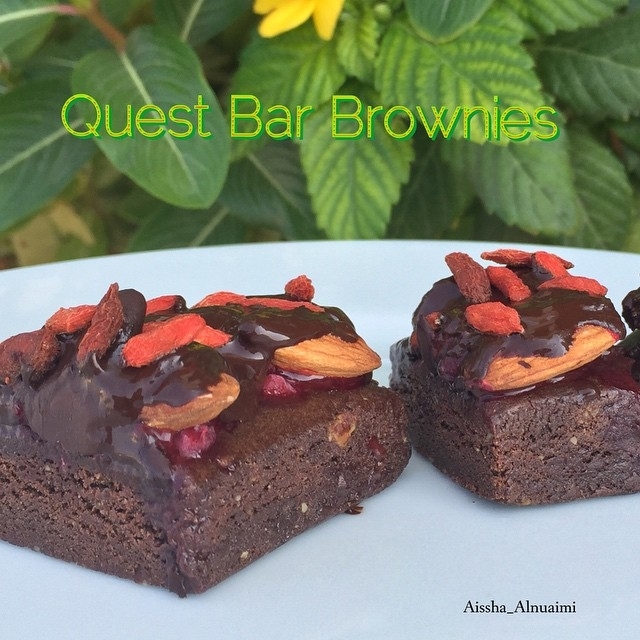 A tasty way to cheat clean and eat brownie that is low in calories and fat but high in protein. Top the quest bar with almonds, pieces of chocolate, few pieces of raspberries and goji berries an about 1 tablespoon of chocalate chip . Bake for about 5 minutes. Enjoy!